• Food is Tasty Medicine. Take a Digital Tour of Shopping the Grocery Store. Did you know disease can develop up to 30 years before any symptoms show up? Discover what you do today affects your brain in the future. Best things you can do now. This is like learning about savings when you're young, and now you wish you would have taken the advice to save. Only with your health, it's much more important. Life changing info that can help you for the rest of your life. Back by studies and most are doctor recommended. You’ll learn about how each one can be beneficial for you and do a few quick demos. Therapeutic Touch – A nurse developed it – used in hospitals. Learn why everything starts in the gut. Learn how digestive health is linked to your immune, endocrine, circulatory and central nervous systems… impacting physical, mental and emotional wellbeing! Practical, real world ways to look and feel better. "Optimal nutrition is the medicine of the future." Food is Tasty Medicine. Take a Digital Tour of Shopping the Grocery Store. Discover new yummy, nutritious foods. Food effects your looks, mood, concentration, and immune system. Learn the best ways to nourish your body. Step Into the Future to Jumpstart the Present—Discovering and Literally Living Out Your Goals. Bring your goals to life! In this interactive, inspiring, and uplifting presentation, you’ll begin with exercises to get clear on your heart’s desires and goals. From there, you’ll literally act them out with the group. 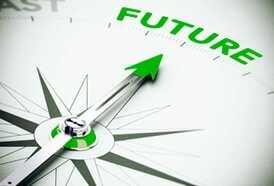 We go forward a year in time, bringing the future to the present by acting as if you're living your goals now. We begin with the end in mind. Try on the possibilities and see what you can be. You’ll come away enlightened with newfound insights and realize your goals are actually within reach. It's not only an upbeat time, but also a chance to bond with others, create a positive community, and get clear on one's goals. It's an unforgettable experience. You'll discover what’s missing from The Secret movie. In this in interactive presentation, you’ll first do exercises to get clear on your heart’s desires and what you wish to manifest. From there, you’ll literally act them out with the group. We go forward a year in time and act as if what you intend to happen has already manifested. You’ll come away inspired and with profound insights on what’s really your heart’s desires. You’ll have clarity and sense memory to go and make your dreams come true. We can also learn to “read” our bodies for deeper messages. If your car's warning light goes on, do you simply find something to take out the light so it doesn’t bother you? The same is with your body. Aches, pains and breakouts can be your body’s warning light to get your attention. Instead you may take an aspirin to stop it from happening, like killing the car light. What if your discomforts are a way of getting your attention to help your body. ​Your innate body’s wisdom may be giving you clues that are hidden in plain sight.